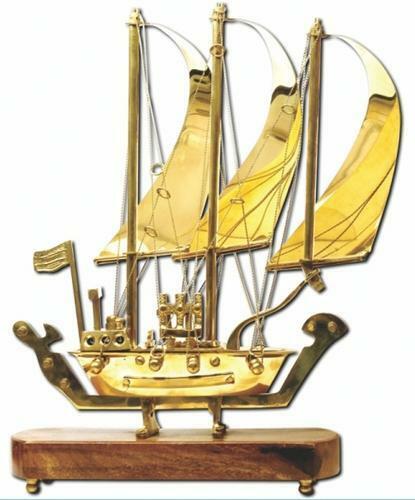 Offering you a complete choice of products which include Nautical Brass Item, Brass Ship and Tie. Wood Metal Combination Decorative Item With Excellent Finish generally used as showpiece on corner table.It is beautiful crafted with imported plastic sheets sails . can be washed if gets dirty , not possible in other fabric sails ships . color can be edit according to your choice.